Everything has its place in a GEO sump! Introducing the NEW “S” Series….. 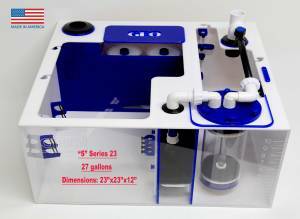 The new GEO “S” series sumps include everything you could imagine in a small and very organized package. We spared no expense in fabricating these works of art. We are proud to be the first to provide a sump with a built in fluidized canister as a standard to our line.